This examination is held four times a year as advertised in the Employment News-and leading newspapers. Eligibility Conditions: Unmarried male Indian citizens (including those of Nepal) are eligible. Essential Qualification: Matriculation or equivalent with Mathematics, English and Science. Age Limits: 16 to 23 years. Blank application forms are available free of cost at local Recruitment Offices, District Collector's Office, Zila Parishads and Employment Exchanges. Candidates are at liberty to send their application on plain paper, handwritten/typed but as per format. The eligible candidates are called for a written test in (i) General Intelligence; (ii) Mathematical Aptitude; and (iii) General Knowledge. In this paper, there are questions of about 30 marks in Physics, 20 marks in Chemistry and 50 marks of Mensuration (Areas and Volumes), Algebra, Trigonometry and Arithmetic, etc. Questions is these tests will be of the Objective type and bilingual, i.e., Hindi and English. Only those fit will be passed through Aptitude Test and Interview. Final selection will be on merit. 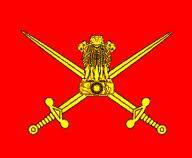 Promotion: A candidate recruited through the Indian Army Soldiers (Technical) M.E.R. Exam can become a Commissioned Officer subject to certain conditions. Numerous NCO / JCO posts have been created to improve career prospects and post retirement benefits.